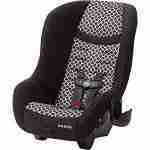 Rockabye Baby Rentals rent car seats in Houston & Galveston, TX - New Orleans, LA - Fort Lauderdale, Miami & Palm Beach, FL. 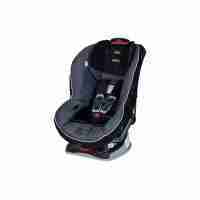 Rockabye Baby Rentals rent car seats in all our locations. The National Highway Transportation Safety Administration (NHTSA) recommends all children under 12-years of age and under 4’9″ be secured in an approved safety car seat when riding in a vehicle. Current recommendations are to keep children rear facing up to the age of 2-years, or as long as possible. 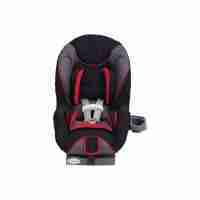 U.S. Laws vary State to State, but carseats are required for children in the United States. Car seats are not measured by a child’s age. A child’s weight and height are the most important factor in determining the correct car seat. 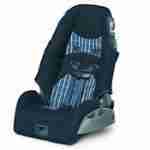 Know the style of car seat your child requires. 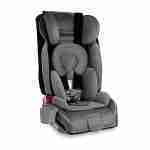 The American Academy of Pediatricians recommends children remain rear facing to a minimum of 2-years of age or longer. Rear facing is the safest position for children. 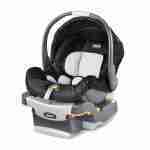 Be aware that all car seats sold in the USA undergo the same safety testing, thus all car seats are safe provided they are installed correctly and are in good condition. There are 4 types of car seats for children. 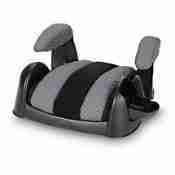 Stage 1 – The infant car seat which is two pieces, the infant carrier seat and the base which installs in the back seat of a vehicle. 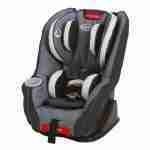 Stage 2 – The convertible car seat which is one piece and can install rear or forward facing. 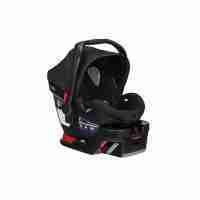 Stage 3 – The toddler carseat is one piece and installs forward facing and has a 5-point harness. 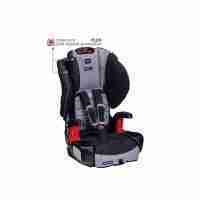 Stage 4 – the belt positioning booster seat is one piece and comes in high back or backless, and uses the vehicle seat belt to secure the child.